You will probably only notice television sound when it’s not good. We can take sound for granted but great sound quality, in particular dialogue, adds a huge amount of production value. 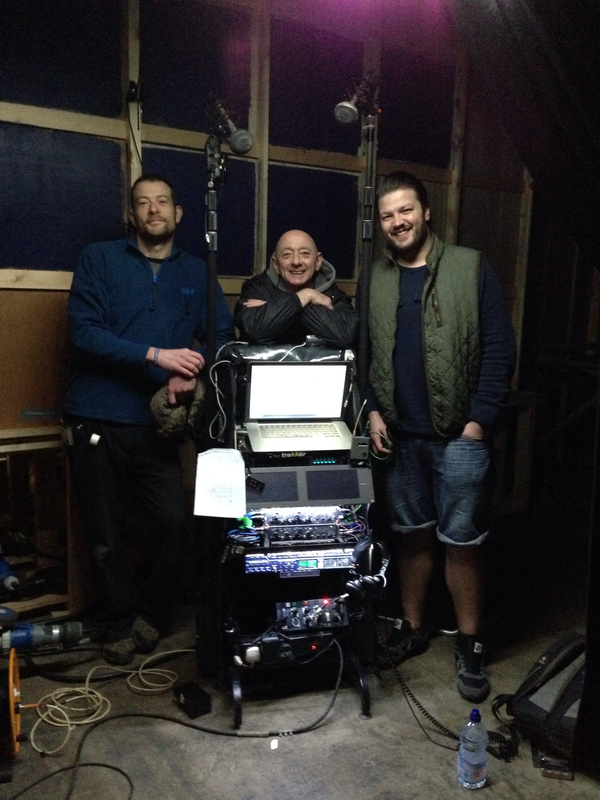 We’re lucky at Soundworks having worked with some very experienced professional location sound teams on Stella. As post-production professionals sat in our cosy dubbing suites we totally rely on the production sound teams to provide us with a good starting point. This year, we’re in the safe hands of recordist Ray Taylor-Parker and his team. I visited the Stella set last week filming in South Wales. I won’t say too much about it but there were over 500 cast and crew on set! Drama sound recordist Ray Taylor-Parker has a really interesting high tech sound recording setup which he’s honed to perfection over many years. Working with him are experienced boom op Daf Parry and assistant Chris Hughes. Ray’s system is centred around an Apple MacBook Pro laptop running Gallery Software’s Metacorder. With this great software Ray has virtually unlimited track record capability only limited by the audio interfaces. Ray is currently using two MOTU traveller firewire interfaces giving him 16 mic line inputs to the Mac. Coupled with his two cascaded Sound Devices 552 mixers, Audio 12 channel mixer and 7 channels of Audio Ltd radio mic channels, it’s a very powerful and flexible setup. Whilst I was on set Ray and the team were recording 7 channels of radio mics, multiple stage mics and boom. As well as running Metacorder, his 15″ MacBook Pro was providing playback and FOH feeds using Amadeus Pro and MOTU software. Metacorder offers Ray massive flexibility and safety, recording to multiple SSD or hard drives. Watching him flying between software packages running simultaneously on one computer was quite something! This technology coupled with Ray’s high end mics – such as the ubiquitous Schoeps CMIT – and the team’s years of experience bodes well for the final sound mix. 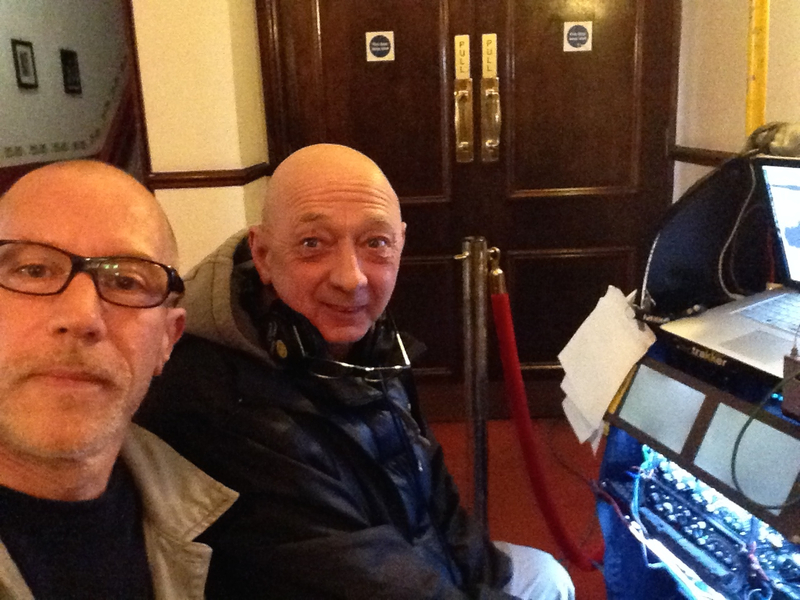 A Selfie of two sound men with a very similar haircut (and no make up). Stella dubbing mixer Simon H Jones and recordist Ray Taylor-Parker on location in South Wales March 2014. The sound department also has its own flight cased coffee machine, possibly the most treasured piece in their audio arsenal of kit. Simon H. Jones March 2014.